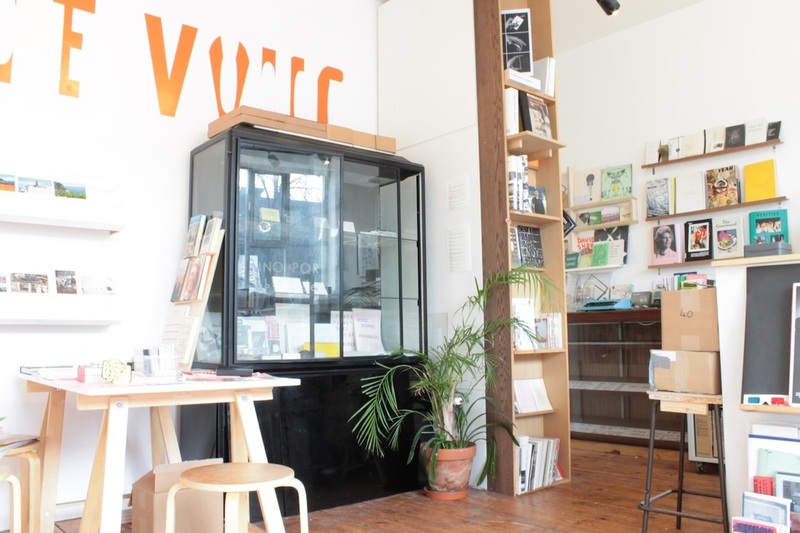 From 2008 – 2014 X Marks﻿ the B﻿ökship﻿ was a hub for independent publishing from its bookshop and project space in Bethnal Green, London. 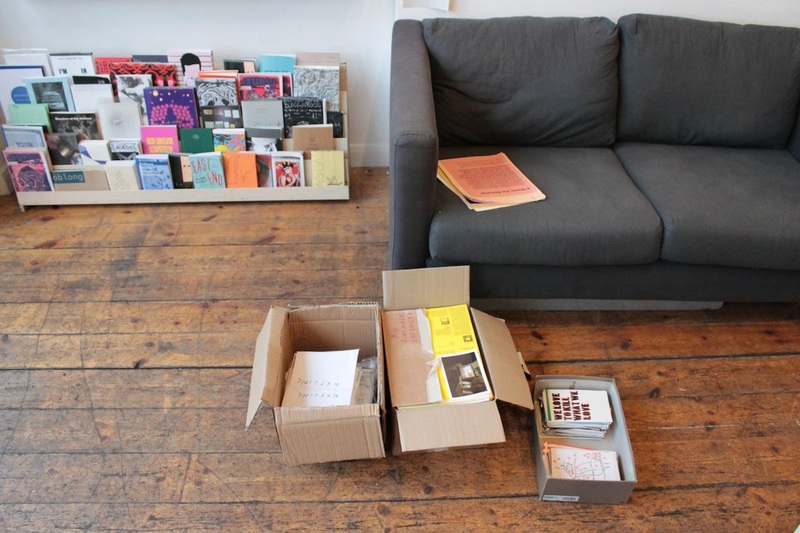 After its closure in April the books are all packed away into boxes until Eleanor Vonne Brown opens a temporary project space at Matt’s Gallery from 21st June. In the meantime we might ask what kind of a place was it and how can it be documented? Much, but definitely not all of the output that the Bökship made available took book-form. The Bökship also played host to a variety of performative work. As well, the space also initiated projects itself, such as an edition entitled XALPHABET. 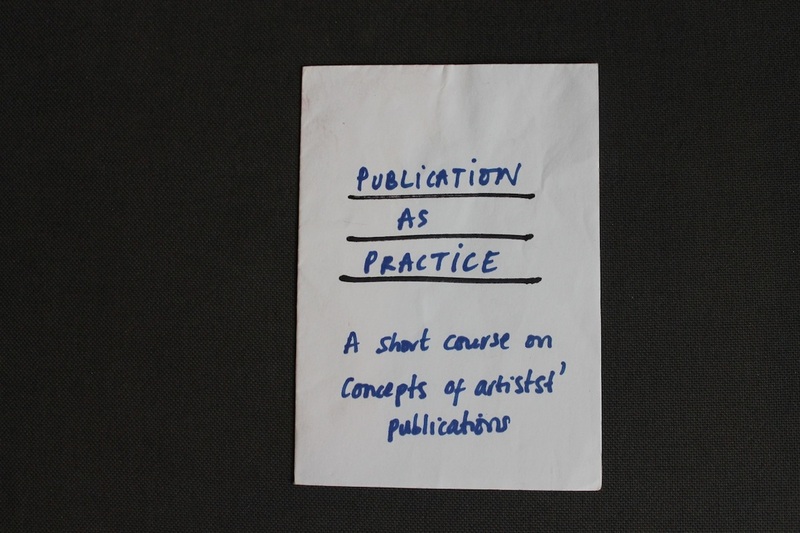 This was a publication formed from the submissions of 26 artists, designers and writers, who were each invited to submit an X. This year the space also hosted an exhibition entitled The Postcard is Public Work of Art. Curated and catalogued by Jeremy Cooper, the exhibition showcased a number of artist's postcards which both utilised and experimented with the postcard format. The space's talkative and friendly feel also made it an ideal setting for conversation about and around independent publishing, whether that happened informally or as part of programmed events. Interior of X Marks the Bökship. The Bökship hosted launch events for many publications. 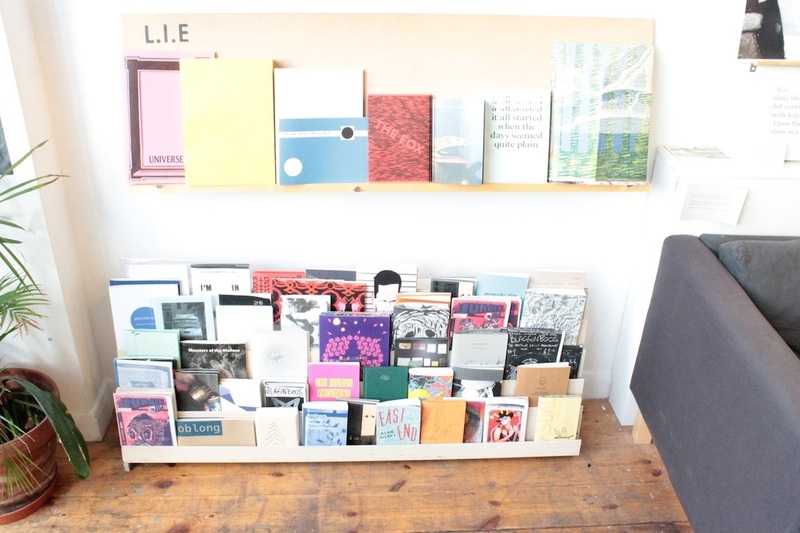 When launches had ended, the publications would then remain in the shop for sale. They also perhaps became traces of past events, evoking the previous occurrences to which they once belonged. As new stock was added and subsequent launches took place, more traces accumulated for regular visitors at least. This sense of multiple events from multiple times being layered upon each other, indexed by specific publications was emphasised by the Bökship's open-plan layout and modest dimensions. Its design meant the whole space and the output it displayed could be seen as a single whole. As such the memories of events it evoked also seemed tied together. This overlaying of different elements both physical and psychic, is part of what gave the Bökship its distinctive feel. What remains after the closure of at least the current physical space? 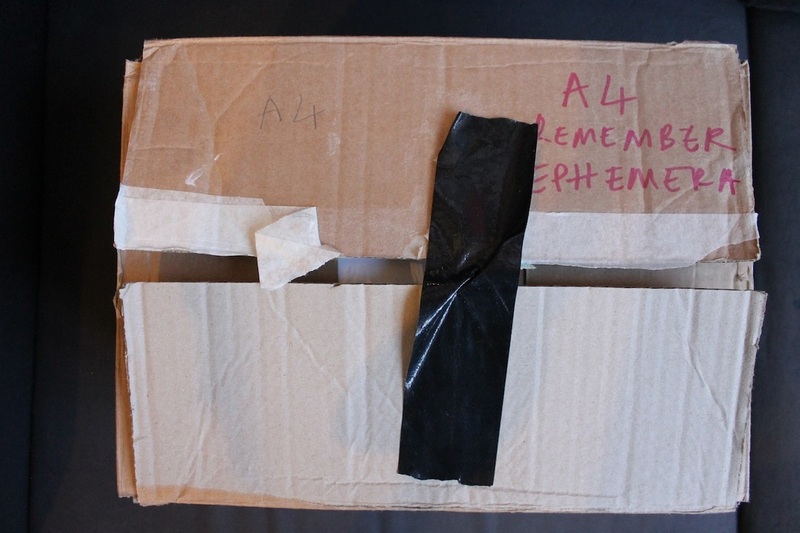 Earlier this year, I discovered that part of what is left are three cardboard boxes filled with Bökship ephemera. Curious about this I began to explore the collection one Saturday afternoon. The boxes are each of different sizes. The largest one containing A4 sized material, a smaller one containing A5 and the smallest holding post card and business card sized material. Interior of X Marks the Bökship with its three boxes of ephemera. Piece of ephemera from X Marks the Bökship. The material definitely has a draw about it. Sometimes it would be obvious what the pieces were and so how they came to be in the boxes. For example I found some promotional material from other spaces. This provides flickers of insight into the daily workings of the Bökship and into the wider circuits it belonged to. However it is hard to be sure exactly what much of the material is. For example, many pieces could have been extracts from unidentified and finished publications. Or equally well parts of abandoned designs or other trial ideas still in the working stages. In many ways this opacity is reminiscent of the functioning of the series of 'Nonsites' Robert Smithson produced in 1968. In each of these works Smithson collected material from a specific site, such as rough pieces of limestone and presented it in a sleek minimalistic container or set of such containers in a gallery space. The container was accompanied by geological and geographical information relating to the site where the material originated. The content of the containers in these works encourages the viewer to mentally move out of the gallery to these other distant sites of origin. But at the same time the gallery pieces do not present a window to these other locations. The samples in the containers do not give any real sense of the sites they came from. As such, on the one hand they appear as windows, urging the viewer to go beyond their immediate environment. But then at the same time they trip the viewer up as they try to do so in their mind . This double motion, an alternating push and pull, a promise to reveal and then a refusal to do so is also present in the collection of ephemera. Despite this tension with the space, in other ways the ephemera is still deeply connected to the Bökship. It shares its layered quality. The material has built up in the boxes gradually, in sync with the Bökship's activity, each piece now weighing down on the one beneath it in thick stacks. In its solid compacted state, the material is the end result of a gradual process of condensing resulting from the space's activities. This however contrasts to the lightly intermingled memories and past impressions the space evoked and contained. The boxes are instead a dense and coagulated group of things. ﻿﻿ Flam, J. (ed. ), (1996), Robert Smithson: The Collected Writings, Berkeley, Cal. : University of California Press. One box of ephemera at X Marks the Bökship.